I love these flowers!! And I missed seeing them the last several years. Well, tonight was the night! I decided to take the short drive to Como Park AFTER the zoo and conservatory closed so as to miss the hoards of people that undoubtedly were visiting this fine park. I found a parking spot easily and headed to the outside of the conservatory where these gorgeous flowers are blooming. 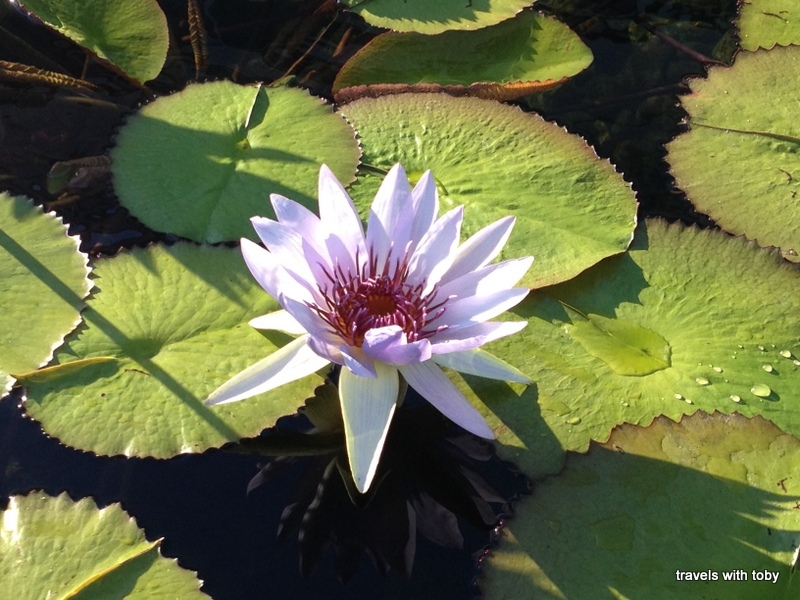 They are Victoria water lilies and commonly called Blooming Victorias. I hope you enjoy them as much as I do. Click on any image to view the gallery. I saved this one for the end. I wasn’t sure if this would look so good since it’s in the bright sun. But I really love the way it came out.